October 28th is cemented in my memory – twice! 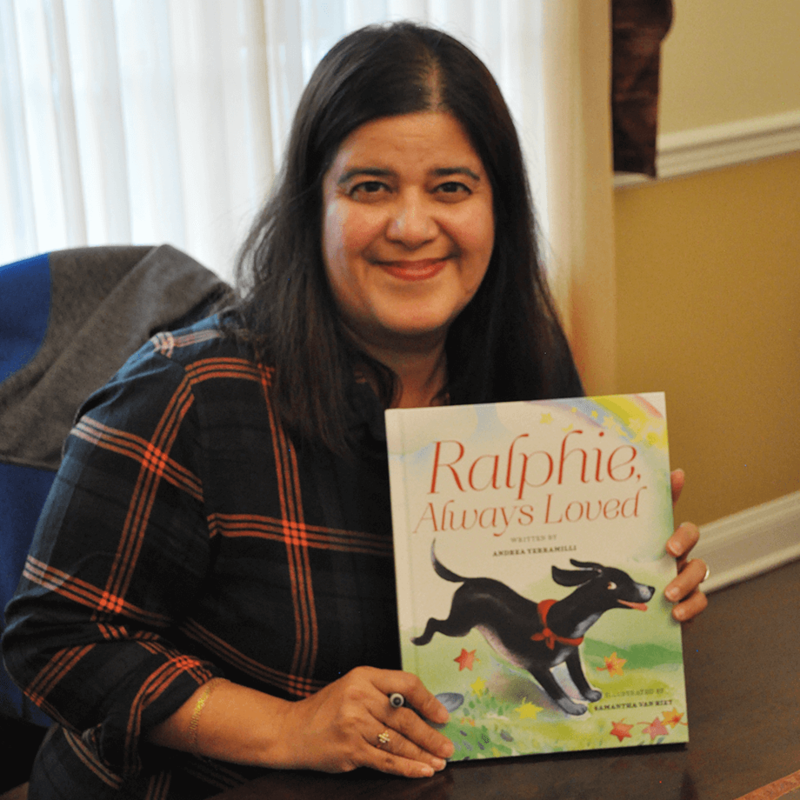 The first time was when Ralphie came home with us in 2000, and the second, yesterday – the day Ralphie’s book launched, giving him the opportunity to go to homes everywhere. Ralphie was a misunderstood, hyper little puppy who was returned to the shelter three times before he bounded into our lives. He set up permanent residence in our home and in our hearts. He was a constant companion and teacher. From him I learned patience, understanding and love. He inspired me to be a better, kinder person. He grew up to be the most amazing dog and is testament to how unconditional love can change lives for the better. He also inspired me to write and I am so glad I did, because in telling his story I told ours too. It was never my dream to become an author, but it was always my dream to tell Ralphie’s story. It’s a dream that – with hard work and perseverance – came true. I’d like to thank everyone who took time out of their busy schedules to be with us at the Launch Party. I love and appreciate you all.